According to the Insurance Information Institute, Sweden was the first country to introduce pet insurance almost a century ago. Almost half of the Swedish pets currently have insurance. Pet insurance is a growth industry, seeing more than a 17% increase in premiums written between 2014 and 2015. Policies for pet bird owners have been harder to find, with few companies offering coverage. Depending on the species of bird that you have, you can be looking at living with your parrot for decades. Over this length of time, there will undoubtedly be occasions where your bird will need to visit an avian vet. Though not as prevalent as insurance for dogs and cats, there are some companies that offer insurance for your pet bird. In many cases, birds are grouped by the insurers in the generic category of exotic pets. Policies may cover a variety of situations and in some cases also provide for assistance with veterinary care. Let’s look at some of the options available to the pet bird owner. What Types Of Bird Insurance Are Available? Where Can I Get Insurance For My Bird? What Can I Expect In A Bird Insurance Plan? Should I Get Insurance For My Bird? In the U.S. there is only one company that offers bird insurance according to the petcha.com website. Bird owners in the United Kingdom have more options with several companies offering insurance coverage. This may be due to the fact that, in general, more UK pet owners opt for insurance than those in the States. For example, only 1% of U.S. cats and dogs are covered where in the UK this number is closer to 25%. As with most types of insurance, there is a sliding scale of premiums that increases with the range of coverage provided by the plan. You can opt for lower cost plans that only cover emergencies to full wellness coverage that assists with regularly scheduled veterinary care. Claims are usually handled in a manner similar to car insurance, with payments made to the policy-holder after care has been given to the animal. Though there are many companies in the U.S. that offer pet insurance, there is currently only one that extends this coverage to your pet bird. Nationwide Pet Insurance, formerly known as Veterinary Pet Insurance is your choice if you seek to insure your pet bird. In other regions, such as Sweden and the UK, there are more options, as multiple companies will insure your bird. At petbirdreport.com, it is stated that the UK is second only to Sweden in the percentage of pets insured. This demand has spurred on insurance companies in these regions to include coverage for pet birds. 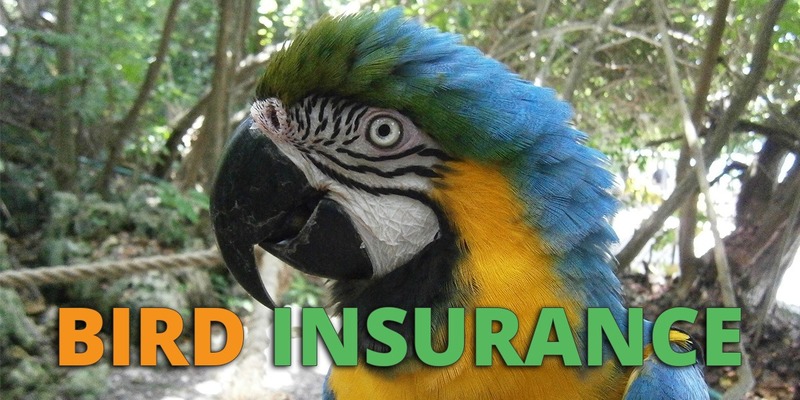 Companies in the UK that have insurance plans available for your pet bird include Exotic Direct, E&L Insurance, and Leisure Guard. Various plans are available from each of these companies. 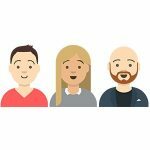 Let’s look at what exactly is covered and some of the costs involved for the companies mentioned above. Nationwide Pet Insurance – (USA) This is the sole U.S. company offering bird insurance. Their plans include a wellness-only option that is economical and covers the costs related to regular checkups. You can also obtain major medical insurance that takes care of hospitalization and emergency treatment. Pet Assure – (USA) This company is not an insurance company. Rather, it is a discount card that will lower costs at veterinarians in their network. It is not yet accredited, but is included here for completeness. Exotic Direct – This UK pet insurer offers plans that will afford you basic coverage for your parrot staring at £4 a month for a bird worth £200. This basic coverage encompasses death benefits for an accident, injury or illness, and peril protection in the case of fire or weather. The company also has more comprehensive plans that will cover up to £5,000 veterinary charges per coverage period. Some claims they paid in 2016 include over £1,000 for a Blue-Fronted Amazon with respiratory disease and over £700 for a Macaw with the same ailment. The company claims a 93% renewal rate and a 5 day claim processing period. Leisure Guard – Another UK company that will insure your bird, they offer plans for all types of birds, including birds-of-prey. Multi-bird discounts are available, and you can get covered for up to £3,500 of vet fees. They also protect you in the event that your bird is stolen, and you can be covered against public liability. You can also obtain protection for your aviary, bird-room and equipment. E&L Insurance – (UK) The offerings from E&L are very similar to those of Leisure Guard, with the same upper limit on vet costs covered, as well as aviary coverage. As with all insurance choices that you will make, the decision to cover your pet needs to be carefully considered. You need to weigh the costs of coverage with your overall financial situation. You may pay premiums for many years and never need to take advantage of the benefits if your bird remains healthy. On the other hand, a serious illness or injury inflicted on your avian family member can cause a serious financial burden. At times you may need to choose care based on what you can afford instead of what the bird actually needs. Many companies will not cover congenital or pre-existing conditions that may be impacting your pet bird. There are also age restrictions regarding the age the pet first receives coverage and an age when the coverage may lapse. Be sure to carefully examine any policy you intend to purchase and make sure you fully understand what you are getting and what may not be covered. You don’t want to be unpleasantly surprised if you ever have to use your bird insurance. As I was planning to ensure my bird with insurance. Then I found your article which was really informative, I am looking forward to ensuring my bird. Thanks for sharing this useful details. I have had Nationwide insurance for my macaw for several years (formerly VPI Pet Ins). They pay quickly and anytime you have a question they are available to help. Last year my bird had a bacterial infection which would have cost me over $1000 for testing, dr visits, etc., but I was reimbursed over $400, which more than paid for the cost of the whole year insurance policy.